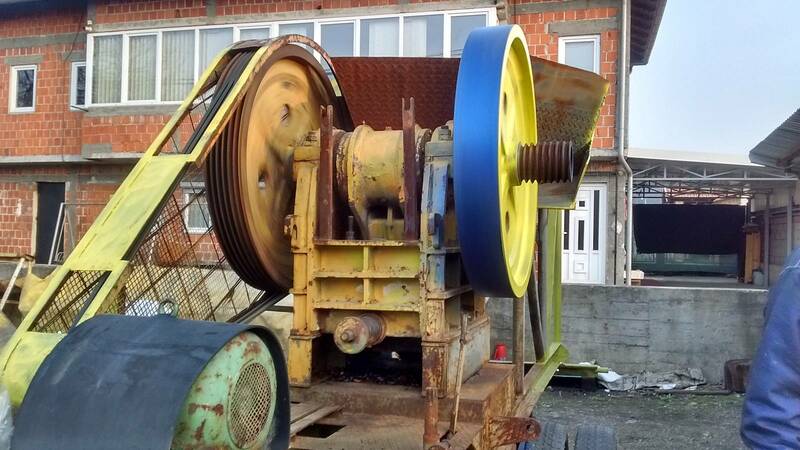 This is our jaw crusher Ashdaia which will be refurbished, nicely painted, protected for the years of work to come. It may handle tens of tonnes of rocks per hour. It is good choice for gold ore processing.